We’d love your help. 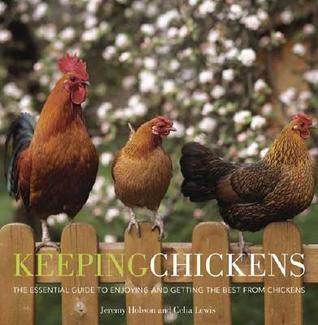 Let us know what’s wrong with this preview of Keeping Chickens by J.C. Jeremy Hobson. 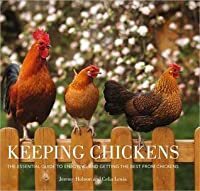 A practical, everything-you-need-to-know guide to keeping chickens for people who are as interested in them as pets as they are in eggs and other poultry produce. To ask other readers questions about Keeping Chickens, please sign up. This is surprisingly entertaining, especially since there is NO WAY I am going to be keeping chickens any time soon. Chickens require accommodations other than an apartment building with no yard. Still, one can live vicariously, and the pictures of all the different breeds of chickens make me strangely happy. Written in UK - so not a lot of detail on breeds common in the US and the US climate. Nice pictures. Beautiful photos, lots of stuff I didn't know. This book had beautiful pictures of all types of roosters and chickens. I found it a little boring at times, because, it was more of just an information book. The style of writing just didn't appeal to me. The section about all the different breeds was the most helpful. This book explained when you are ready to get chickens and great breeds to start with. This book is recommended to all people getting chickens for the first time. A starter book, suitable for middle school to adult reader with little or no experience with animals. Has some recipes and crafts that I added to my ever-growing file of what to do with eggs. Doesn't gloss over the downside of keeping chickens, including the trauma of causing accidental deaths of vulnerable chicks. I lowered the rating for this book due to its guidance toward total reliance on commercial feed. I would give this book a 5 if it included recipes for chicken feed. Instead it says to buy feed because it is too complicated to make. Not. 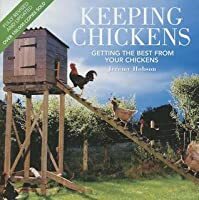 The most helpful part of the book is about building a chicken tractor (pages 57-62) that will house four bantams, three standard-size chickens, or two heavy breeds. Great chicken book! I liked the way they talked about the different breeds and found the comments helped in choosing a breed and knowing which one makes a good family laying chicken. This one is the best yet I think. I liked it. Lots of good, but basic info. Also geared toward readers in the United Kingdom, so those of us here in the US will need to do some additional research. Still, not a bad primer, and the section on different chicken breeds is fantastic. Lots of good info on chickens along with very good pictures. Very helpful for my newest hobby. Excellent resource for beginners. I can't wait to get my first hens! Basically informative with beautiful pictures. Not enough detail to be a huge help, but plenty of facts and tidbits. There is a 2010 edition that I have been been unable to locate. Good pictures of different types of chicken houses. This book is just what I was looking for. It provides useful information about caring for chickens. There is a bit of information that I found useless, but still a great chicken resource. This book was okay, but I think there would be more coverage out there in others. Kind of like a kid's book in a way. A basic overview, not a sole source of information. Each subject is glossed over without enough detail. I wouldn't feel comfortable getting chickens had I only this book as preparation. This book tells you how to care for chickens. There are a lot of pictures, which I really like. soooo many different types of chickens! Lots of pictures, lots of practical information. Great photos and a good variety of birds described. The chapter on breed selection was nice. I found the notations about which birds were good for beginners useful. Who knew - there are at least six different kinds of combs and waddles! Even contains some egg crafts and recipes. Great pictures. Not very extensive on information on chicken raising. But I might consider buying just for the great pics. Wow - if you're thinking about chickens this is the bomb. Lots of good pictures too. 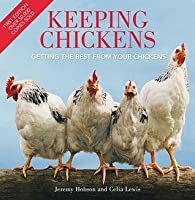 It's just like the title says; gives you a good idea about how to "keep chickens" with the benefits and drawbacks clearly defined. Beautiful pictures of several varieties of chickens.